When I was young, my favorite book was Louisa May Alcott's Little Women. Alcott's tale about Meg, Jo, Beth, and Amy went a long way toward forming my ideas about fairness, kindness, and how to get along in life. The Grandmother serves the same purpose in the Czech Republic. Published originally in 1853 -- 15 years before Little Women -- The Grandmother tells the story of an elderly country woman in northeast Bohemia who comes to live with her daughter and her daughter's family on a noblewoman's estate. Mr. Prosek, the son-in-law, works for the noblewoman, you see -- the house is part of his living expense. Grandma is immediately pressed into service as babysitter for the couple's children. But the old lady doesn't mind; in fact, she thrives on teaching the children everything from Christianity to superstitions and folk remedies. Everyone in the neighborhood loves her, of course -- even the noblewoman, who comes to believe that Grandmother is not only the epitome of Czech peasantry, but full of good ideas, to boot. The novel is beloved in the Czech Republic, but I suspect most modern-day Americans would find it tedious. 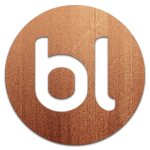 There's no plot, really -- just a series of vignettes following the Prosek family through the course of a year. I found it interesting because of my heritage, and because I was looking for examples of how pagan practices had survived in Bohemia. But there's very little action, and only a little conflict among the characters. The biggest revelation is perhaps the story of Victorka, a madwoman who lives in a cave near the family's home. She went mad after conceiving a child out of wedlock, and the most interesting thing about it is how no one in the village condemns her -- either for becoming pregnant (rather than scolding the girl for her loose morals, the villagers consider the father a demon!) or for her treatment of the baby (which she delivers alone, and then throws in the river). Victorka's story is told with typical Czech practicality, and none of the melodrama that someone like Dickens would likely have employed. If you have an interest in historical accounts of idyllic 19th-century family life, or of old Czech customs, I'd recommend checking out The Grandmother for its place in Czech literature alone. The rest of you should probably give it a pass. It's the time of the year when I look at my TBR pile of dead-tree books and realize I only have a few months to get through it before I get another book bag at this year's World Fantasy Convention. So I may be reviewing more trad-pubbed books than usual over the next few months. Our Lady of the Ice is steampunk, I guess. Around the turn of the 20th century, developers built a weatherproof dome in Antarctica and put an amusement park under it. They also built a city under the dome for the people who would work in the park, and called it Hope City. But they also built robots, some more humanoid than others, to work in the harsh climate. As the novel opens, it's been several decades since the park was shut down. The infrastructure may (or may not) be decaying, and many people want only to escape to the mainland. That's the dream of Eliana Gomez, a female private investigator -- but she hesitates because it would mean leaving her boyfriend, Diego Amitrano, behind. Diego works for the gangster who controls much of the city, but Eliana wonders how deep Diego is involved. At the same time, a society woman named Marianella Luna has teamed up with a city council member to champion a proposal to grow crops under the dome, thereby making Hope City less dependent on the mainland. But the androids in the park are gaining sentience, and they have their own agenda. And Marianella harbors a secret that could bring ruin to everyone. I enjoyed the book. Eliana and Marianella are appealing characters, each in their own way. And Sofia, an android and another point-of-view character, was well done. My favorite character, though, might be Luciano, another of the androids, who is not as far along in his development as Sofia in some ways, and yet farther along in others. The book has a noir feel to it, what with the gangsters and the winter darkness. The dome frames the story: it keeps everyone alive, but it also traps the characters and their corrupt society. 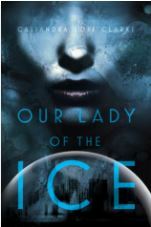 I would recommend Our Lady of the Ice to readers who enjoy alternate history, noir fiction, and androids. I enjoyed Finding Travis, Bowersock's first installment in this series, and was pleased to hear that she had written another book with the same appealing characters. I am happy to report that Being Travis did not disappoint. This book picks up some time after the end of the first book. To recap, Travis Merrill was volunteering as an army surgeon in a reenactment at Camp Verde, Arizona, when he was somehow whisked back in time to the real camp. He managed to pull off pretending to be a real doctor, with the assistance of one Corporal Riley. Now, Travis and Riley have both mustered out of the Army; Travis has married Phaedre, a woman he met at the camp, and is setting up a homestead not far away, with Riley's assistance. 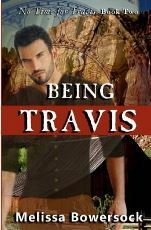 As time goes on, Travis discovers it's becoming harder to keep the secret of who is is and when he's from -- especially from his wife. This is one of those stories where you just want to take the main character and shake some sense into him. Riley, of course, has some inkling of the truth, but all Phaedre knows is that Travis is hiding something from her, and that's not a good foundation for any marriage. Travis did a pretty good job of screwing up his life in our time, and this reader would really hate to see him screw things up in the past, too. Bowersock has included some intriguing subplots, including one in which a notorious historical figure stumbles across Travis's neighborhood. I hope we've seen the last off that fellow, but the writer in me wonders whether he won't come back for an encore in the next book. Which is to say that I hope Bowersock writes the next book in this series soon. I would highly recommend both books in this series for readers who enjoy historical fantasy. For the Indies Unlimited Reading Challenge this month, I'm supposed to read a book in a genre I don't usually pick up. Thrillers qualify, for sure; usually I find them violent for the sake of being violent, and lacking in character development. With D.V. Berkom's work, however, I don't have either problem. This is the second of her books that I've read, and I've enjoyed them both. A Killing Truth is a prequel to Berkom's series featuring Leine Basso, a kickass operative for a shady U.S. anti-terrorist agency. When she's not picking off bad guys, she enjoys time with her young daughter. And she has a boyfriend, Carlos, who shares her line of work. When Leine nearly gets killed on assignment, she writes it off as a bad job -- but Carlos thinks their boss might be trying to eliminate them both. Then Carlos goes missing -- and the boss sends Leine on a crazy mission that's sure to get her killed. Leine is a no-nonsense professional and a deadly adversary -- and as usual with Berkom's work, the excellent editing and taut pacing kept me on the edge of my seat to the very end. As A Killing Truth is a prequel, you don't need to have read any of the other books in the series to enjoy this one. Highly recommended for readers who like their crime novels with tough female heroines.